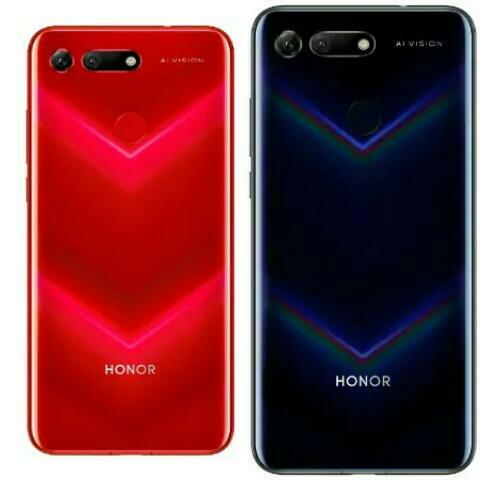 Honor, a sub-brand of Huawei launched Honor V20 smartphone on December 2018 with some interesting features. The device is a 6.40inch touchscreen display smartphone, armed with an impressive 48 Mega Pixels camera. Honor V20 is one solid smartphone that cannot be overlooked at first sight. A few days ago, Honor teamed up with Italian fashion company Moschino to unveil a special edition of this device. The limited edition sold out within hours- thanks to the beauty and superb features of the device. The Moschino edition comes with 8GB RAM and 256GB internal, instead of the regular 6GB of RAM and 128GB of internal storage. 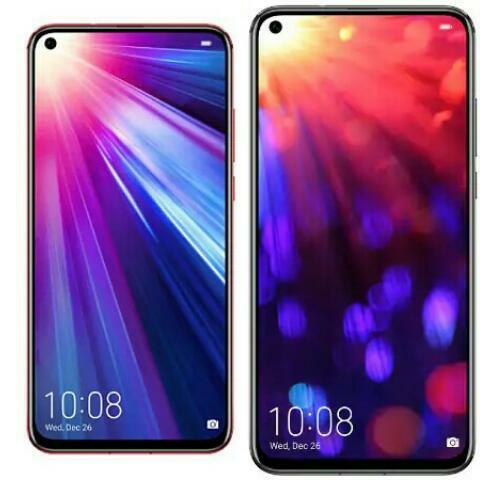 Other features remain the same as the regular model of Honor V20. Let us review some of the key features of Honor V20 smartphone. The Honor V20 comes with 6.4-inch LCD screen and a resolution of 1080 pixels by 2310 pixels at a PPI of 398 pixels per inch. The display also hosts an off-screen camera that uses a blind hole scheme, instead of hollowing out the LCD screen. The Honor V20 is armed with some impressive cameras on both rear and front. The rear hosts 48 Mega Pixels camera that is extremely sharp and bright. The camera has an F1.8 aperture. The camera supports AI algorithm which helps in real-time scene recognition and beautification with an excellent night view shots. The front packs a 25-megapixel Sony IMX576 camera, with the F2.0 aperture. Combined with the AI algorithm and multi-frame synthesis technology, and it also supports face unlocking. Honor V20 smartphone runs on Android 9.0 (Pie); Magic UI 2 with Kirin 980 processor. This supports GPU Turbo 2.0 technology equipped with 6GB of RAM for the normal version and 8GB of RAM for the Moschino edition which ensures fast processing speed. The smartphone is the smart choice for gamers that need a device that can perfectly run games without lagging or hanging. The internal storage capacities for both editions stand at 128GB and 256GB respectively with no expansion using microSD card. The memory and storage are good for the price at which they are offering the device. Apart from the awesome cameras that come with Honor V20, the 4,000mah battery capacity is also good and can carry you all through the day on heavy usage. The smartphone has the NINE liquid cooling heat dissipation technology to ensures the phone doesn’t heat on heavy usage. This means you have nothing worry about your phone getting heated up when playing your games or watching some movies. The Honor V20 battery also supports 4.5V 5A fast charging which can fire up your device within 2 hours. It’s cool if you ask me. The prices for both models of the Honor V20 smartphone are quite high. The Moschino edition which comes with 8GB/256GB costs $590 or N241,000 on Jumia Nigeria. The regular model with 6GB/128GB is selling at $530.